First Choice Women’s Medical Center began in 1982 as Sav-A-Life Montgomery, a crisis pregnancy center with the vision of reaching “abortion-vulnerable members of our community in the name of Christ to make life their first choice.” Sav-A-Life offered free pregnancy tests as a means to give “positive alternatives to women considering abortion.” In 2007, they transitioned into a medical clinic and began providing ultrasounds as well as pregnancy tests. In 2018, Sav-A-Life Montgomery officially changed its name to First Choice Women’s Medical Center, Inc. Throughout the changes over the years, the goals of the staff have stayed consistent—to provide support and education to those facing a crisis pregnancy and to share the message of life. In addition to client advocates, First Choice has licensed nurses who administer free pregnancy tests and ultrasounds. In 2017, they had 2,306 client visits and gave 970 pregnancy tests and 562 ultrasounds. Because the transition to a medical center in 2007 allowed them to offer ultrasounds, it has made a impact on women who were considering abortion. Because of these tests, more women are choosing life. Of women who were planning to have an abortion, or who were in a situation vulnerable to abortion, about 68% of those who had an ultrasound at First Choice left saying they would choose life for their unborn baby. First Choice has made a huge impact on the surrounding community, helping thousands of women during very difficult times in their lives. Sometimes the impact is not seen until years later. 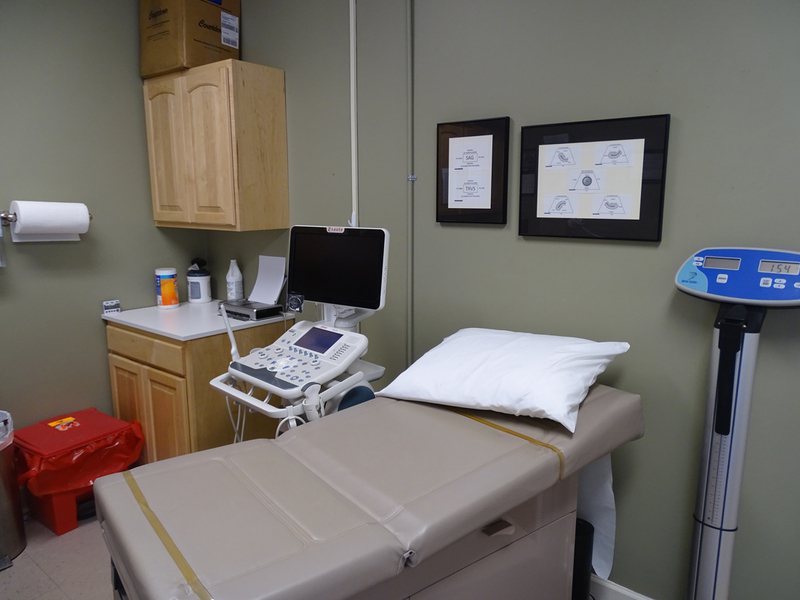 “We had one client who came to the clinic and had a positive pregnancy test. We counseled her, but she left abortion-minded. We never knew what happened to her until two years later. She came back with her two year old child and thanked us. She chose life,” said Garth.